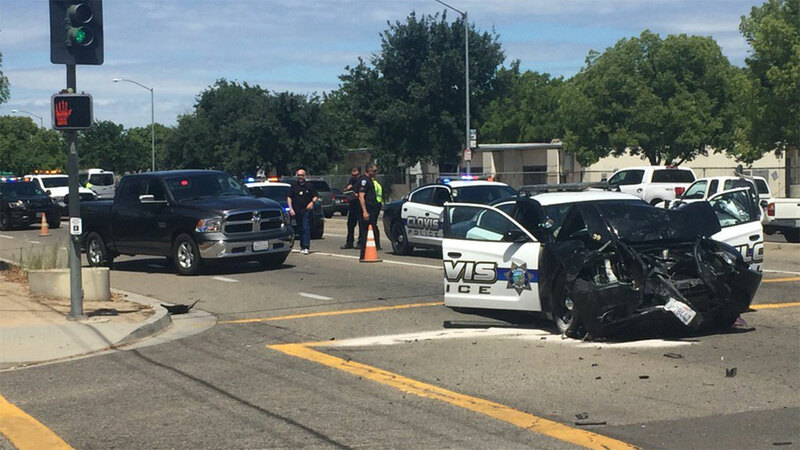 FRESNO, Calif. (KFSN) -- A Clovis Police Officer was involved in a crash at Ashlan and Winery in Clovis. Ashlan is closed at Winery. The officer and other person involved have both been transported to the hospital. Both had complained of pain, but had no visible injuries. Action News has a crew on the scene and will provide more information as it becomes available.